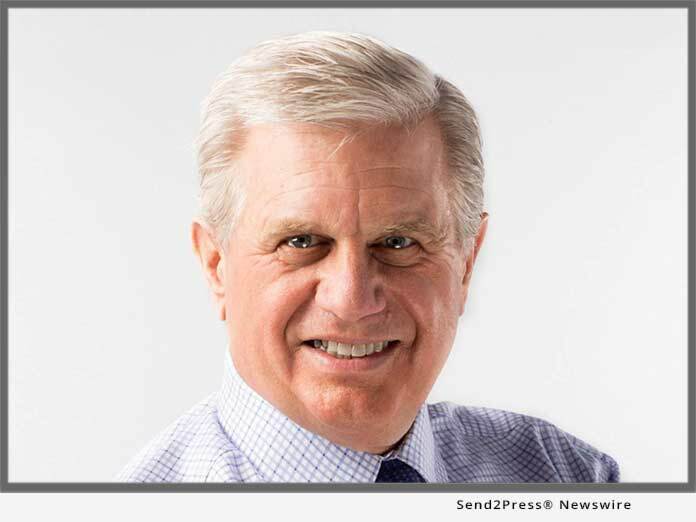 AUSTIN, Texas, Dec 04, 2018 (SEND2PRESS NEWSWIRE) -- Leading mortgage industry management consulting firm Austin, Texas-based Transformational Mortgage Solutions (TMS), today announced that Founder and Chief Transformational Officer David Lykken has been named a 2018 Vanguard Award honoree by HousingWire (HW) magazine. For the fourth consecutive year, the Vanguard awards program has highlighted housing finance executives for "vital contributions to their companies and the dynamic way they are changing the industry." A prominent and beloved personality among the mortgage community, Lykken was recognized for his 45 years of vigorous innovation and entrepreneurial leadership in housing finance. After starting out as a banking management trainee, just five years into his career Lykken launched a loan origination software company that grew into a national, publicly-traded tech firm. Lykken went on to found and lead two highly successful, California-based mortgage banking companies and became acting partner in a national mortgage bank. Dedicated to helping mortgage lenders nurture the health of their organizations, Lykken founded TMS in 2015 and in 2017 co-founded Ainsworth Advisors, where he currently coaches early-stage lenders and mortgage banking behemoths for success. Additionally, Lykken has cultivated a dedicated national following of thousands of mortgage professionals as host of the podcasts "Lykken on Lending" and "Lykken on Leadership." Lykken also frequently appears as speaker and guest panelist at prominent mortgage industry conferences and events. "There's nothing more gratifying than providing lenders with the encouragement, strategic advice and support they need to reposition themselves from surviving to thriving," said Lykken. "Especially in this profitability-challenged cycle, mortgage lenders are going to have to 'change their stinking thinking' to improve their bottom-line." "As the Vanguards award program continues to grow and to be more successful, the entry point gets tighter," said HousingWire Editor-in-Chief Jacob Gaffney. "These winners are truly the best Vanguards in the mortgage finance industry, and they all deserve the highest honor in the space." The complete list of awardee honorees is published in the December issue of HW magazine. The digital edition can be viewed online at https://www.housingwire.com/articles/47526-meet-the-2018-hw-vanguard-award-winners. Transformational Mortgage Solutions (TMS) is a management consulting firm providing a full range of advisory services to owners and executives of companies in the mortgage lending business. Our clients include banks, credit unions, and independent mortgage lenders, as well as companies providing financing/solutions/services to mortgage lenders. We are able to help companies regardless of size. We provide three main advisory services: consulting, coaching and communications. Also, as a public service, TMS is dedicated to informing and educating industry professionals through the weekly "Lykken on Lending" podcast as well as providing speakers at conferences and other industry events and consumers through "Today's Mortgage Minute" and through appearances on national television networks such as the FOX Business Network.